Q: What's one of the hottest selling books at Book Passage ? A: A Discovery of Witches, by Deborah Harkness. On Wednesday, July 27th Deborah Harkness concludes her appearance tour for her bestselling fantasy novel, A Discovery of Witches, with a reading and booksigning at Book Passage in Corte Madera, California. It's an event not to missed - and really is the author's last event for the time being. Harkness, we are told, will spend the rest of the summer in Northern California doing what authors love to do - reading, writing and working on a new book. 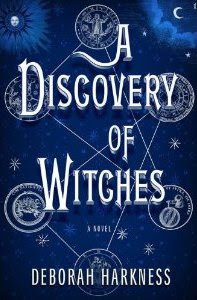 In A Discovery of Witches ($28.95), Harkness has crafted a mesmerizing and addictive read, equal parts history and magic, romance and suspense. It is a book which has resonated with readers around the world - that's why we have received orders for signed copies from England, Canada, Australia, New Zealand, and that most distant kingdom, Walla Walla, Washington. Not to mention New Jersey. This smart, sophisticated story harks back to the early novels of Anne Rice, but is as contemporary and sensual as the Twilight series - but with an extra serving of historical realism. Harkness' debut novel (but not her first book) is a richly inventive work about a centuries-old vampire, a spellbound witch, and the mysterious manuscript that draws them together. Here is the gist of it. . . . Deep in the stacks of Oxford's Bodleian Library, young scholar Diana Bishop unwittingly comes upon a bewitched alchemical manuscript in the course of her research. Descended from an old and distinguished line of witches, Diana wants nothing to do with sorcery; and so, after a furtive glance and a few notes, she banishes the book to the stacks. But - her discovery sets a fantastical underworld stirring, and a horde of daemons, witches, and vampires soon descends upon the library. The twist - here - is that Diana has stumbled upon a coveted treasure lost for centuries - and she is the only one who can break its spell. 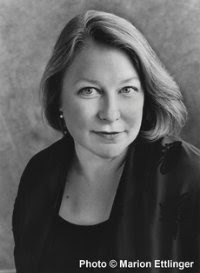 Deborah Harkness is a professor of history (of science and medicine) at the University of Southern California. She has received Fullbright, Guggenheim, and National Humanities Center fellowships. Her most recent scholarly work is The Jewel House: Elizabethan London and the Scientific Revolution. This 2007 book from Yale University Press was the Winner of the John Ben Snow Prize of the North American Conference of British Studies and the Pfizer Prize of the History of Science Society - and was co-winner of the Pacific Coast Conference of British Studies book prize, and was Highly Commended by the Longman’s / History Today Book of the Year Award. Harkness is also the author of John Dee's Conversations with Angels: Cabala, Alchemy, and the End of Nature (Cambridge University Press, 1999). My favorite novel this year, as I'm sure many customers know from my bubbling staff picks review. [grin] I can't wait to host Deborah on Wednesday night, hear more about her work, and meet her other fans.